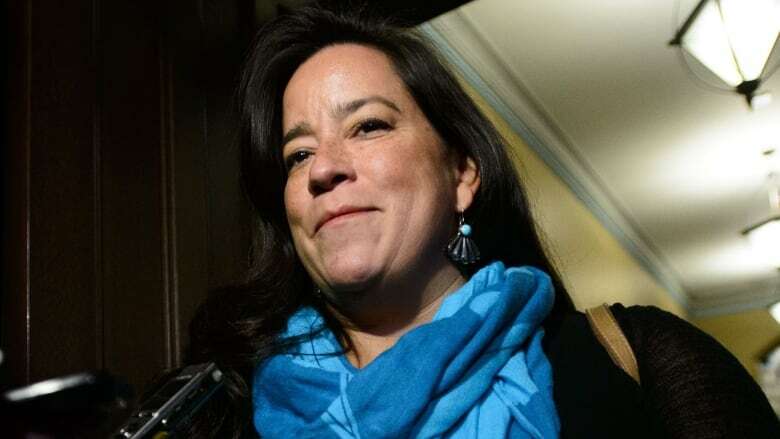 The Trudeau government issued a sweeping waiver Monday allowing former justice minister Jody Wilson-Raybould to tell the Commons justice committee details of her conversations with government officials about the SNC-Lavalin affair. The Trudeau government issued a broad waiver on Monday allowing former justice minister Jody Wilson-Raybould to tell the Commons justice committee details of her conversations with government officials about the SNC-Lavalin affair. In an order-in-council (OIC) posted online, the government says Wilson-Raybould — "and any persons who directly participated in discussions with her relating to the exercise of her authority under the Director of Public Prosecutions Act respecting the prosecution of SNC-Lavalin" — can report to the committee and to the federal ethics commissioner any cabinet confidences "in any information or communications that were directly discussed with her respecting the exercise of that authority while she held that office." The OIC also "waives ... to the extent they apply, solicitor-client privilege and any other relevant duty of confidentiality to the Government of Canada" regarding what Wilson-Raybould discussed with other government officials as justice minister "respecting the prosecution of SNC-Lavalin while she held that office." The waiver does not extend, however, to any communications between Wilson-Raybould and the director of public prosecutions on SNC-Lavalin while she was justice minister — "in order to uphold the integrity of any criminal or civil proceedings," says the text of the order. The order sets the stage for what could be an extraordinary session of the justice committee. Wilson-Raybould was expected to speak before the committee this week; a time has not yet been set for her appearance. The justice committee is examining the growing controversy touched off by a Feb. 7 Globe and Mail report that said Prime Minister Justin Trudeau's aides attempted to press Wilson-Raybould to intervene in the prosecution of SNC-Lavalin to help the company avoid criminal prosecution on bribery charges related to contracts in Libya — and that exasperation with her lack of co-operation was one reason for shuffling her out of the Justice portfolio to Veterans Affairs. Wilson-Raybould quit cabinet entirely on Feb. 12. She's offered no comment since on the SNC-Lavalin affair or the company's attempts to secure a remediation agreement to avoid criminal prosecution, arguing that she's still bound by solicitor-client confidentiality from her time as federal attorney general. The OIC clears a few things up in advance of Wilson-Raybould's appearance before the committee. The ex-minister, who said she is "anxious" to testify before the justice committee probing the SNC-Lavalin affair, wrote to committee chair Liberal MP Anthony Housefather today saying it would be useful for the committee to have an "authoritative statement" on the scope of what she can say prior to her appearance. "I am anxious to appear at the first available time," she wrote. "However, I believe that in advance of my appearance the members of the committee and I should have as much clarity as we can in relation to the possible constraints on the matters about which I may properly testify." Wilson-Raybould, who has retained retired Supreme Court justice Thomas Cromwell as counsel, also requested an extended period of 30 minutes to make an opening statement to the committee. Under pressure to waive solicitor-client privilege for his former justice minister and attorney general, Trudeau said earlier today Wilson-Raybould would be given leeway to speak. Earlier today, Conservative Leader Andrew Scheer called on Trudeau to testify at the committee, insisting Canadians should be outraged by the allegations of political interference in a criminal case. A motion tabled by the Conservatives said Trudeau should be called to answer questions given his "alleged direct involvement in a sustained effort to influence SNC-Lavalin's criminal prosecution." It called on the prime minister to appear at a two-hour televised committee under oath sometime before Mar. 15. The motion was defeated in the Commons this evening. 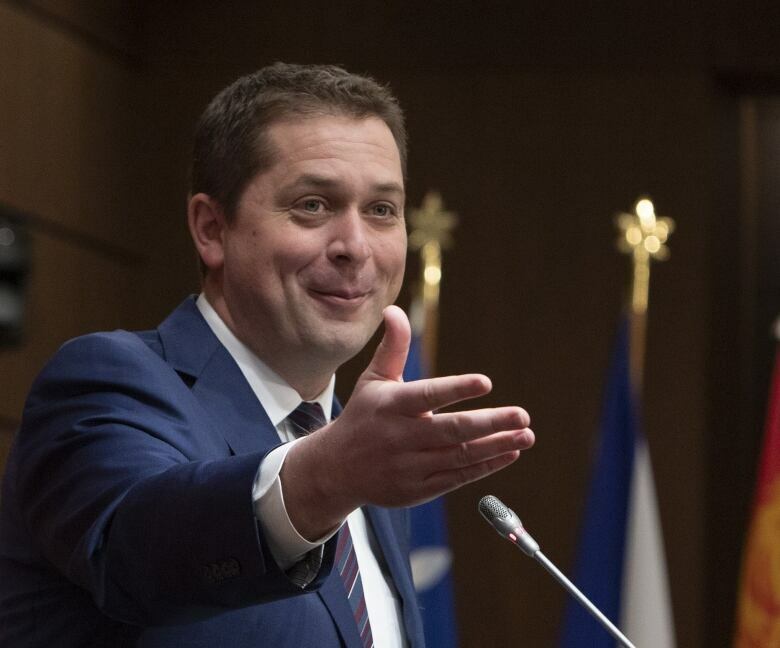 During a news conference on Parliament Hill Monday, Scheer described the SNC-Lavalin affair as an unprecedented attempt to alter the course of justice through political interference. "Politicians don't get to execute our justice system," he said. "What we've seen unfold over the last two weeks is a textbook case of government corruption, with those at the very top of the Prime Minister's Office implicated in what could be the obstruction of justice." It's rare for a prime minister to appear before a committee. On Sept. 7, 2006, then-prime minister Stephen Harper appeared before a special committee on Senate reform. Former prime ministers have occasionally appeared before Commons committee hearings. Former prime minister Paul Martin appeared before a committee on the Kelowna Accord on Nov. 9, 2006 and Brian Mulroney spoke before a committee looking into the Airbus settlement on Dec. 13, 2007. Last week, Canada's top civil servant Michael Wernick told the justice committee that he warned Wilson-Raybould that there would be economic "consequences" from prosecuting SNC-Lavalin, including big job losses. But he maintained that he, Trudeau and officials in the Prime Minister's Office did not impose any inappropriate pressure on the minister. Trudeau said Friday that Wernick is an "extraordinary public servant" who has served Canada with "integrity and brilliance." "I would recommend that people pay close heed to the words of the clerk of the Privy Council," the PM said. "His service to this country over decades in the public service leaves him well-positioned to understand what institutions are grounded in, and make sure that we're doing the right things as a government." In September 2018, the government amended the Criminal Code to allow for remediation agreements, enabling prosecutors to use them as an alternative to a criminal trial "at their discretion to address specified economic crimes if they consider it to be in the public interest and appropriate in the circumstances," according to the Department of Justice website. If the accused organization upholds the terms and conditions of the agreement, charges can be stayed and a criminal prosecution avoided. According to the government website, the purpose of remediation agreements is to denounce wrongdoing and hold the organization to account, while reducing harm to innocent employees, shareholders and other third parties. The organization would have to accept responsibility for the wrongdoing and pay a financial penalty. In the case of SNC-Lavalin, the Public Prosecution Service of Canada opted not to pursue a remediation agreement and chose instead to proceed with prosecution. It advised the company of that decision on Sept. 4, 2018. Wilson-Raybould, as attorney general at the time, had authority to override the decision and halt prosecution. Wernick confirmed last week several meetings were held on the topic — including a telephone call on Dec. 19 he initiated, during which he warned Wilson-Raybould of the economic consequences of prosecuting a company that employs about 9,000 people. He insisted there was never "inappropriate" interference. According to the so-called Shawcross doctrine, the attorney general must consider the impact of prosecution on the public interest. The attorney general can consult with cabinet colleagues, but those discussions are limited to hearing advice, not receiving directions. Arguing in favour of calling Trudeau to speak to the committee, Conservative justice critic and deputy leader Lisa Raitt said it's in the public interest to have the prime minister testify in order to bring together the various threads of the SNC-Lavalin affair. Raitt also asked why SNC-Lavalin was told of the prosecutor's decision on Sept. 4 but didn't disclose that information to its shareholders until Oct. 10. "Who in the Prime Minister's Office, what cabinet minister, or even did the prime minister give assurances to SNC-Lavalin that they would not have to disclose a material fact to their shareholders because they were going to sort it all out?" she asked. Five legal experts appeared before the committee today; some couched their comments by saying they don't have all the facts yet. Mary Ellen Turpel-Lafond is a senior associate counsel at Woodward and Company LLP and a professor at the Peter Allard School of Law, University of British Columbia. She told the committee the law imposes limits on anyone trying to influence an attorney general acting in the role of chief prosecutor. "Those engaging in that must point to lawful authority that actually backs up their actions, and I would say the Shawcross doctrine is a flimsy authority," she said. Turpel-Lafond said she believes it's important to hear from all of those involved in the SNC-Lavalin affair, not just Wilson-Raybould, because the situation is escalating to the level of a "crisis in the rule of law." She said the RCMP integrity unit could investigate the matter — if it isn't doing so already — to determine if there was a "subtext" to the discussions between various officials and Wilson-Raybould regarding the criminal prosecution. "If there's evidence that a prosecutor is fired and there was an attempt to influence or direct her attention to something that didn't have lawful authority, then it does raise the spectre of obstruction of justice, because obstruction of justice requires this sort of fear-favour element," she said. Maxime St-Hilaire, associate professor at the Faculty of Law, Université de Sherbrooke, said he finds it difficult to understand how information conveyed to an attorney general would be useful after a decision had been made to not overturn a prosecution. "If there are cabinet discussions after that decision has been made, then I find that quite difficult to understand," he said. Wendy Berman, lawyer and partner at Cassels Brock and Blackwell, explained the role of remediation agreements, noting they can take several years and are meant to prevent situations where companies might "wither away" and cause collateral damage.